Why should I submit my notes to CGA for grading? CGA is the first grading company to authenticate collectible currency and has done so since its inception in 1998. Currency is our only business. Unlike our competitors we do not grade Coins along with numerous other collectibles. We are not affiliated with any other company and have no conflict of interest on any level. Do I have to be a Special Club Member or Dealer to submit Notes to CGA for grading? No. Unlike the other grading companies, at CGA we accept submissions from collectors and dealers alike. There are no costly "Clubs" to join for the right to pay again to submit your notes. Is CGA Under New ownership? Yes. CGA and the Trademark CGA brand were sold on April 13th, 2009. Our Address is P.O Box 793 Shelter Island Hts, NY 11965. The new company will retain the CGA name but display a star/diamond on the back of every note certified by the new ownership. Does CGA have a grading guarantee in place? Yes. CGA has a grading guarantee that rivals our competitors. CGA Stands behind all its services and your satisfaction is guaranteed. Are all notes certified & encapsulated by the new CGA covered by the CGA guarantee? Yes. 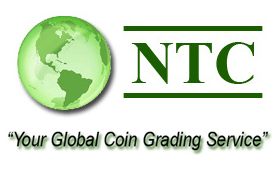 All notes certified by the new CGA are covered under the Grading guarantee outlined herein. How can I tell if my note was certified by the new CGA and covered under the grading guarantee? Notes graded by the new CGA were graded after the acquisition date April 13th, 2009. All notes certified by the new CGA will have a star/diamond on the back of the holder next to the registration number. At other services I have waited months for my notes to come back. At CGA can I be assured of my notes being graded and returned to me in a timely manner ? Yes. We know the frustration of waiting months for your submissions to be returned to you. At CGA, submissions are processed on a first come first served basis and the level of service you choose will be adhered to. Your order doesn't go to the back of the pile when a large submitter or dealer's order comes in. What's the best way to ship my notes in for grading? We recommend USPS Registered mail service. It is the safest way to ensure your notes arrive in a safe and timely manner. What's the best way to pay for my order? If there's any question you have that's not answered please contact us.